Over the course of ten years, polar explorer and National Geographic grantee Børge Ousland and his expedition partner, Vincent Colliard, are crossing the world's 20 largest glaciers. As the accompanying video attests, pushing themselves to their physical limits amid some of the harshest landscapes on Earth won't keep these two adventurers from having a good time. Arctic ping-pong matches, epic sled races, and other good-natured battles between 52-year-old Ousland and 28-year-old Colliard are par for the course. 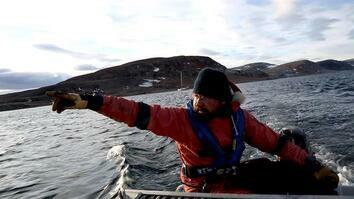 Still, the impetus for their expeditions is a fairly serious one: documenting climate change. Why risk life and limb to show what’s happening to the world's glaciers? Ousland believes, "You can show a lot with scientific reports, but to go out there and really show the visual part of it, come home with the videos and the stories and meet people along the way that live close to the glaciers—I think that’s equally important." After 30 years of exploration, Ousland has witnessed climate change firsthand. "I’ve been about 20 times to the North Pole and I can’t even recognize the landscape up there now. 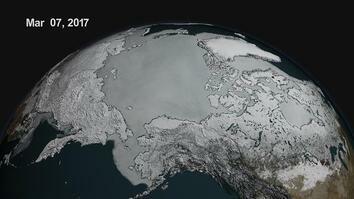 In the early '90s the ice was two to three meters thick, but now there's a 30 percent reduction of the polar ice cap." Ousland found that climate-driven transformations have even erased some of the former routes he once explored. "I did a trip in Patagonia in 2003, which I repeated in 2013. I was insistent on doing the route we had done ten years ago, but it was not possible—I couldn’t recognize the route, I couldn’t find my way." The glacier Ousland expected to traverse had sunk so far down that the crevasses were impassable. "It was a shock for me to experience that," he says. But Ousland's main concern is far greater than needing to reroute his expeditions. The barren, cold landscapes of the polar regions may seem like alien worlds, but they’re actually indicators for what's to come for the rest of the planet. "It’s just one world and you can’t isolate these areas," Ousland explains. "When the glaciers on land melt, those pour into the ocean and that will contribute to the sea level rise. If something's happening there—if the temperature is rising in the Arctic—that will affect the whole world." While on expedition, Ousland teams up with Vincent Colliard—and not just for the entertaining company. Ousland has been exploring longer than Colliard has even been alive, and Ousland hopes to pass his love for and knowledge of exploration and nature onto the next generation. "We made the mess, my generation made the mess," Ousland says, speaking of climate change. "So these younger guys have to repair it if they can." He adds: "At some stage you have to start asking yourself, What can I do about this problem, and start doing something about it. And that time is now." Another challenge presented to the explorers by climate change: increased run-ins with polar bears. The iconic creatures are showing up on land more and more often due to shrinking sea ice. 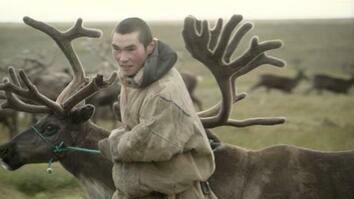 Find out how Ousland and Colliard handle bumping into these "lords of the Arctic" here.